Heat olive oil in a large skillet over medium-high heat and stir in the ground beef and ground lamb, chopped onion, pine nuts, cinnamon, and salt and black pepper (plus the optional spices if desired). Cook and stir until the meat is crumbly, evenly browned, and no longer pink. Drain and discard any excess grease. Preheat an oven to 350 degrees. Lightly grease a baking sheet or line it with parchment paper. Roll out the thawed pastry sheets to about 1/8-inch thickness. Using a sharp 3-inch round cookie cutter, cut out at least 9 rounds per sheet. Lightly brush the inside edges with a little water, and place about 2 teaspoons of filling into the middle of each round. Fold the pastry round in half to cover the filling and seal the edges well. Transfer to the prepared baking sheet and repeat with the remaining dough circles. Brush each pie with a little egg wash. Bake in the preheated oven until golden brown, 15 to 20 minutes. Sabreen Samman stands by a panel of windows at the Lincoln Baths Building in the Saratoga Spa State Park. In front of her are serving trays holding her savory Philly cheesesteak sandwiches, made with lamb and beef, ready to be topped with onions, peppers, and melted cheese. A customer approaches. With a smile, Samman fills the order. Samman calls her business Petra, after the ancient city in Jordan, where she is from. 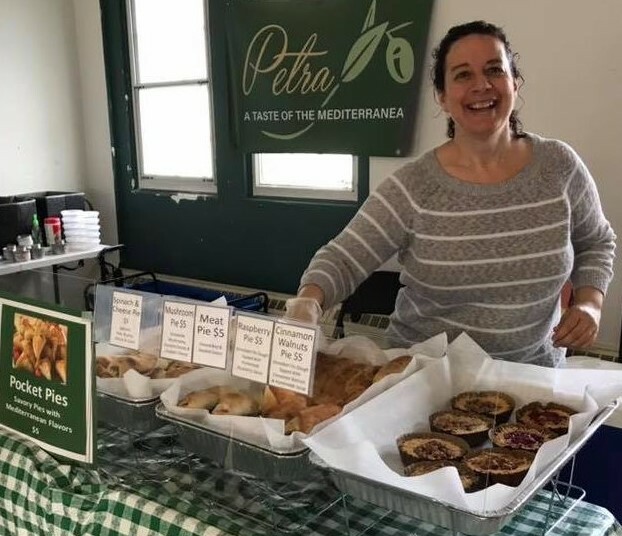 She started the business as a farmers’ market enterprise and joined the Saratoga Farmers’ Market in 2018. Petra is an ancient city, known for beauty and historical significance. For Samman, it is like a taste of home. Samman’s early work years were at a desk. She left that life and in 2014 started a restaurant, the Falafel Den, in Saratoga. The long hours of restaurant work tired her out, so she sold her share in the business to her partners. Still, she wanted to keep cooking. As she developed Petra, she realized it was a perfect fit. She could cook in a creative way, with more time for herself. 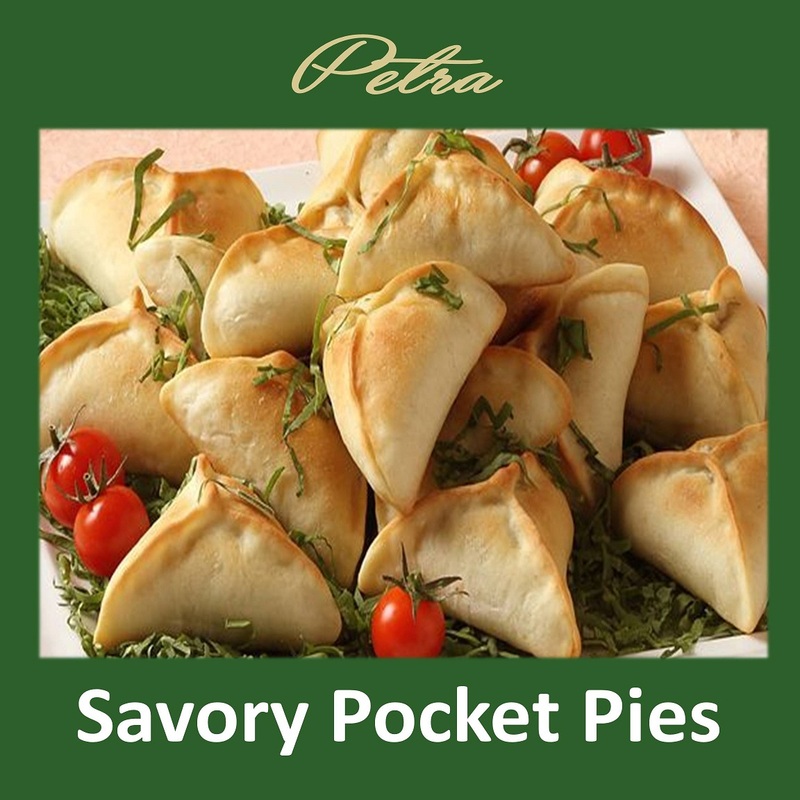 She initially began offering pocket pies, which were modeled after a food common in and around Jordan. 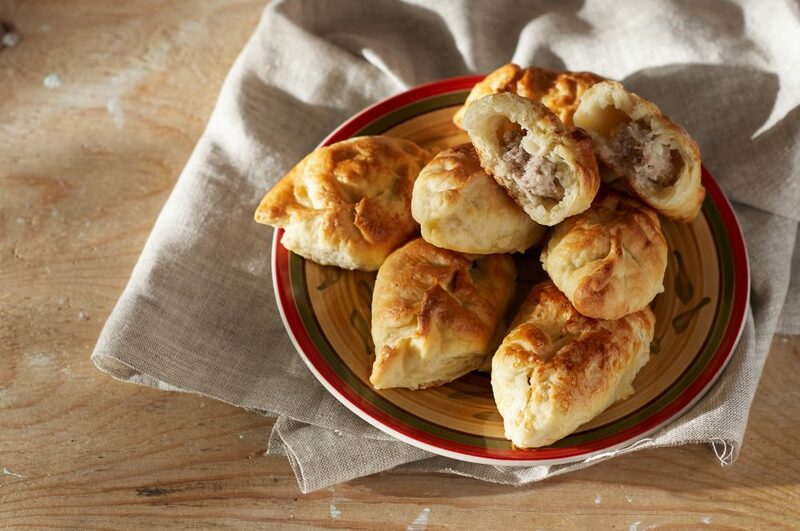 The pies, like the accompanying recipe, were made with pizza dough; filled with combinations of vegetable, cheese, and meats; seasoned with spice blends of the Mediterranean; folded at the top, and then baked. Samman has always liked to surprise market goers with different ingredients and styles of snack or lunch foods. Along with pocket pies, she has brought salads and gyros to the market in the past. She looks forward to mixing things up with sub rolls and fillings and plans to offer chicken and vegetarian combinations this spring. Response to her Philly steak sandwiches has been quite favorable, she says. The Saratoga Farmers’ Market is 9 a.m.-1 p.m. Saturdays at the Lincoln Baths Building in the Saratoga Spa State Park through April. The market moves outdoors to High Rock Park in May. Follow us on Facebook, Twitter, and Instagram.